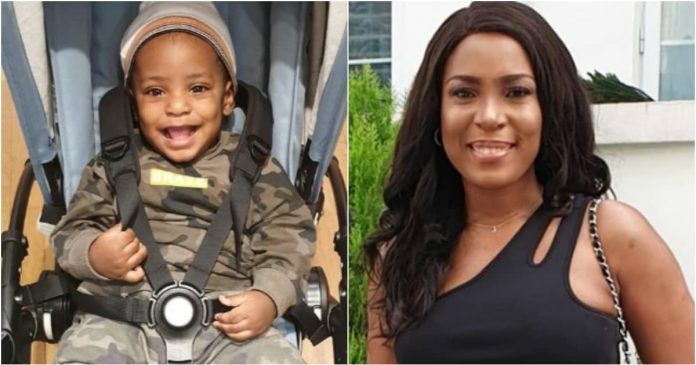 Late last year, popular Nigerian blogger Linda Ikeji had become the topic of discussion social media after she revealed that she was having a baby boy. The blogger was attacked by many who said she lied to her fans. Ikeji had made a post in which she claimed that she was abstaining. Many people attacked her for getting pregnant after she told her fans that she was not being intimate with anyone. However, after her baby boy was brought into the world, his cuteness gave Nigerians something to talk about. And, it seems like the little boy was not ready to give up on cuteness. In new photos of the little cute, he looked so good and handsome. The blogger, who shared his photo on Instagram, stated that he is her source of joy. She also noted that they were in Paris.